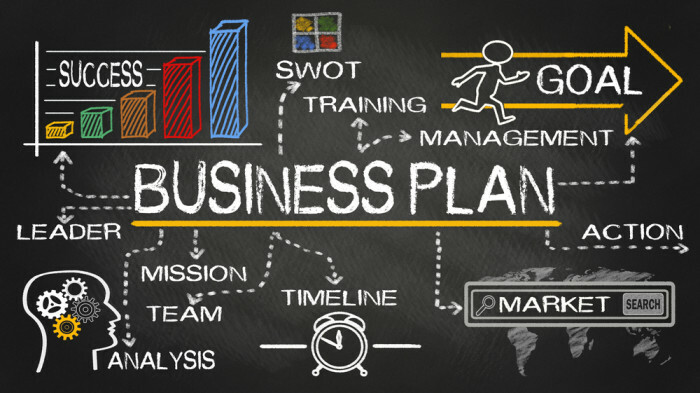 Your Business Plan is the ‘sales document’ for you and your business. It’s preparation and presentation should project the image you want for your business. Its content should be clear, concise, to the point and divided into logical sections. Describe the purpose of your Business, briefly outline the concept. Include YOUR overall business objectives. Decide on the ‘legal status’ of your business – sole trader, partnership, limited company or co-operative? All have benefits and shortcomings. Find out which is right for your situation. Describe precisely the product or service that your business will offer. Include any relevant history of the product or service and try to avoid any jargon. List the distinctive qualities of your product or service and describe your ‘Unique Selling Point’ (USP) – the key feature which makes your product or service stand out in the market place. Describe how your product or service can be developed in line with a changing market. A précis of each person, including their personal assessment of their attributes, strengths and weaknesses as well as your own assessment of each person. Their relevant experience, commitment and reasons for involvement in your new venture. You should also include a detailed CV for each person in the ‘Appendix’ at the end of your plan. This is probably the most important section of the whole Plan – without a clearly defined market your business will not succeed. If you can show that you have ‘done your homework’ in this section, you will gain credibility for the whole Business plan. Your franchisor will also have research in this area. Describe the current conditions in the market place for your product or service. Detail any relevant facts and figures relating to the market sector(s) that you will be targeting – for example geographical location, size (in terms of people and money), expected growth, and the type(s) of potential customers for your product or service. Give details of your competitors and explain why your potential customers will choose your product or service rather than the competition. This is the point where research pays off. You should make use of the wealth of business information that is available about markets, competitors and customers. Your marketing objectives – for example number of sales or market share. Where your product or service will be ‘positioned’ in the market place in terms of price, quality, image etc. What your planned marketing communications are – advertising, leaflets and brochures, etc. How your product or service will be distributed and /or sold eg. Through agents, sales teams, etc. What customer care policy is planned and how it will work. Any interest that you have already generated or details of possible orders you have already taken should be include in the appendix. WITHOUT A CLEARLY DEFINED MARKET YOUR BUSINESS WILL NOT SUCCEED. Having an efficient operation can be the key to a profitable business. This section should describe how you will supply your product or service. Your Franchisor will have set systems that you will have to adhere to. Include your sources of supply, labour and materials. Detail the resources required to operate your business, differentiating between what you already have and what you need to acquire. Identify any critical procedures or sensitive issues and outline possible alternatives. State where you intend to operate from – your current premises and future requirements. Outline your current Health and Safety policies – if you don’t comply with your statutory obligations, you will need to take action. You need to decide on the most appropriate premises for your business needs together with the franchisor. The forecast profit (or loss) for the year. Whether financing is required and if so, how much and where the money is to come from. The ‘break even’ sales for the business should be calculated and shown as a percentage of your anticipated sales. Details of the money you need to take out of the business to live on – your required income’. A detailed schedule of your required income should be included in the Appendix. Include as much detail as possible to justify anticipated sales. Don’t forget your overheads – it is just as important to show how they have been calculated. Cash will flow in and out of your business – often at different rates and times for example, you may have to pay for materials in advance, yet wait months for payment after you have sold your product or service. When will you get the money from sales. When will you have to pay suppliers. The timing of specific overheads. How much capital equipment that you require for your business. Differentiate between existing equipment and expenditure still to be made – how much and when. Properly done, this will tell you when your business is likely to be short of cash and it will enable you to plan for this. This is the final section of your Business Plan. It should include the detailed information mentioned earlier – CV’s, details of orders etc. Anything else that you believe will enhance the credibility of you or enhance the credibility of you or your business.